At Synergy Wealth Management, our goal is simple: help clients live a better life by assisting them with creating reliable financial strategies they can be confident in. We aspire to maintain lifelong, productive relationships with our valuable clients and believe providing our clients with transparent information, reliable options, objective guidance and exceptional service aids us in achieving our clients’ financial goals and objectives. Committed to transparency, accessibility and communication, Scott works diligently to be a resource for his clients. He listens attentively to clients’ personal and financial situations, as well as their wants and dreams, before providing objective guidance, and has done such a good job meeting and exceeding clients’ needs that he has been featured on CBS, FOX, NBC and ABC. Driven by family and philanthropy, Scott actively seeks out community members in need of synergistic financial planning and wealth management. He uses his talents and extensive experience to create reliable strategies with clients, and he focuses on positively impacting as many people as possible by doing the right thing for his clients. 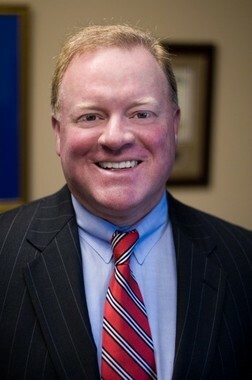 Scott attended Kennesaw State University before transferring to the University of West Georgia, where he earned a degree in marketing and was an active member of Pi Kappa Alpha. His current credentials and certificates include his Series 7, 63 and 65 certifications, as well as life, health and limited-property insurance certifications. Outside of work, Scott enjoys traveling and spending time with his wife Jill and four children Chandler, Leia, Luke and Chris, as well as volunteering in the community and practicing Tae Kwon Do. Scott is the Co-President of the Etowah Valley Chapter for Sleep in Heavenly Peace charity where they raise money and build bunk beds for children currently sleeping on the floor.